Technical University of Denmark, Denmark is inviting excellent candidates to apply for a PhD position in sustainable development. Successful candidate will have funding to work and study for 5 years in Denmark. Eligible candidates should submit the applications before October 05, 2018. The Low Carbon Development Programme, part of the UNEP DTU Partnership (UDP), invites applications for a PhD research project focused on blockchain (Distributed Ledger Technology, DLT) applications to climate change challenges in the context of sustainable development. Over more than 25 years, the UDP (www.unepdtu.org) has become a leading international research and advisory hub on energy, climate and sustainable development. 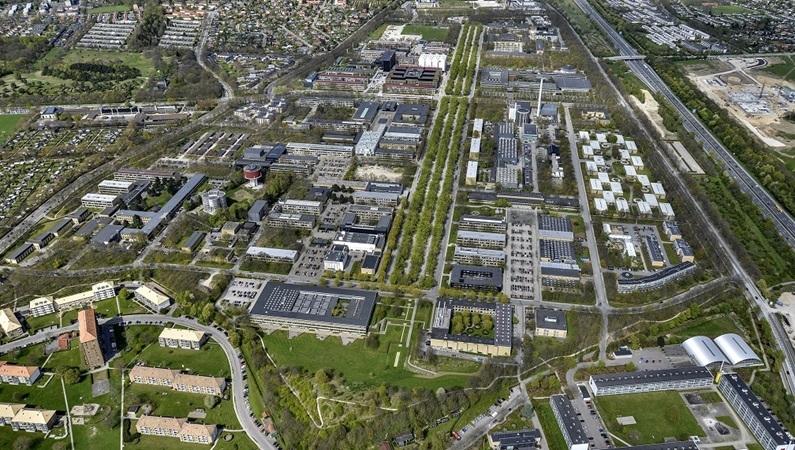 The UDP is an integrated part of the Department of Management Engineering at the Technical University of Denmark (DTU). The UDP works in close partnership with the United Nations Environment Program (UN Environment) and has project activities with national and international partners, national governments and research institutions in more than 50 developing countries. The Paris Climate Change Agreement (PA) from 2015 together with the Sustainable Development Goals (SDGs) set the scene for a sustainable future. Despite the historical agreement between 195 Parties, present efforts are insufficient. The PA target is to limit global warming to 1.5 to 2 degrees Celsius, while current scenarios project approx. 3 to 3.2 degrees Celsius by 2100, if all national commitments are achieved. To achieve the PA target, timely action is required to avoid points of no return, demanding a net zero emissions world by 2050. Newly evolving technologies, such as the blockchain technology (Distributed Ledger Technology, DLT) have the potential to act as a tool to accelrate global actions towards the PA agenda and the SDGs. Central blockchain features are an immutable audit trail of transactions, cheap and borderless transfer of values, and automated execution of contract specifications. In essence, the DLT could provide a secure and transparent foundation for any mechanism that incentivizes emission reductions anywhere in the world. The PhD project will therefore be focusing on the DLTs application in the climate change and sustainable development context, and specifically on the technologies potential to address present gaps and barriers prohibiting efficient implementation of the PA agenda and the SDGs. The project will carry out a neutral assessment of the technology, applying enhanced conceptual, methodological and empirical insights to identify most promising use cases and share lessons learned. There is scope within the project for pursuing an interdisciplinary framework of analysis combining different theoretical perspectives as well as methodological approaches. The research should however include a strong element of socio-economics and economic theory. Research methods should mostly be in the form of quantitative (primarily secondary) data collection and analysis, complemented with framework and methodology development and qualitative data collection and analysis, preferably from a real case study. Candidates should have a Master's degree in a relevant social science discipline (economics, environment or development studies), with proven skills in socio-economic assessments and experience within climate change and sustainable development area. Prior understanding of the DLT landscape will be a significant plus, although not required. Strong oral and written English communication skills are essential. Experience from working in a developing country is an asset. Candidates will be expected to demonstrate the ability to work independently, to plan and carry out independent research, including field work in developing countries. Candidates are expected to have a high degree of self-motivation, leading their research project with the support of two co-supervisors. The successful candidate will join an international team of about 70 professionals in an interdisciplinary work environment, with a broad portfolio of activities and an extensive network of professional contacts to research and government institutions in developing countries as well as the UN system. The PhD position is part of a larger effort of the UDP to establish a research group exploring the potentials of DLT in the context of climate and energy related challenges in collaboration with the Technology and Innovation Management research group at TU Berlin. The scholarships for the PhD degree is subject to academic approval and the candidate will be enrolled in one of the general Ph.D. programmes of DTU. For information about the general requirements for enrolment and the general planning of the scholarship studies, please see the DTU PhD Guide. The project supervisor, Miriam L. Hinostroza, milh@dtu.dk, can be contacted directly to answer any specific questions. Candidates may apply prior to obtaining their master’s degree, but cannot begin before having received it. The aim is to start the study December 1st, 2018.